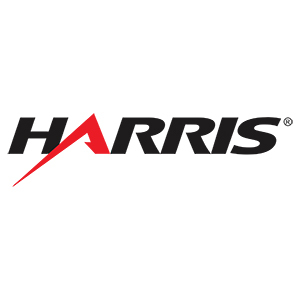 Harris Corporation (NYSE:HRS) has been awarded a one-year, $14 million contract by Evolvent Technologies, Inc., to develop and implement the U.S. Department of Defense Military Health System's global Healthcare Artifact and Image Management Solution (HAIMS). The HAIMS contract is for one year with potential for four one-year incentive options. The announcement was made during the HIMSS'09 Healthcare IT Conference and Exhibition being held April 4-8 at McCormick Place in Chicago. HAIMS will provide all 65 hospitals and medical centers within the global Department of Defense (DoD) healthcare system, as well as dental and medical clinics, enterprise-wide access and viewing of healthcare artifacts and images. The program also enables seamless access for beneficiaries supported by the U.S. Department of Veterans Affairs (VA). Under the contract, Harris will provide program management, software design, systems development, and test and evaluation expertise for the web-based HAIMS solution. "HAIMS is a next generation approach to global military healthcare delivery and a defining step toward the new Military Health System (MHS) enterprise architecture," said Jim Traficant, vice president of Harris Healthcare Solutions. "This breakthrough approach will help save lives and improve care for our wounded warriors, veterans and their families over the full continuum of care." Over the past several years, the Military Health System has managed more than 750,000 in-theater medical encounters. The lack of ready access to wounded-warrior artifact and image information over the course of treatment and recovery has posed a challenge to MHS providers. The HAIMS solution will enable the DoD and the VA to share health artifact and image information whenever and wherever needed, from the theater all the way back to the clinic. The term 'artifacts' refers to any type of captured image other than diagnostic medical imagery. This includes electronic scans of paper medical records, photographs, and handwritten clinician notes, as well as electronic attachments from files or images and other documents related to patient care. The overall HAIMS program was awarded to Evolvent, an e-business solutions and services provider, as part of the Defense Systems Integration, Design, Development, Operations and Maintenance Services III contract vehicle, for which the company is a small business prime contractor. Harris Healthcare Solutions provides enterprise intelligence solutions and services for commercial and government customers, including systems integration, intelligent infrastructure, advanced visualization and display, enterprise digital content management, and IT services solutions. Harris products, systems, and services improve health outcomes by assuring that critical medical information is delivered with security and privacy to the right person, on the right device, at the point of care.